Interesting, did you patched airprobe to work with N210? yes, this is exactly what I did. Thx for reply, i am now an owner of N210 but i would like to know more about what exactly was this modifications made. Can you share patches, howto or whole modified code? In another blog post, or email? Hi, thank you for the patches, but I’m still struggling to make the airprobe work and was wondering if you could give me some advice. I cloned the airprobe from repository, applied patches with “git apply” and tried to compile the whole thing. But i’m getting a lot of compilation errors. I tried adding boost libraries but that didn’t solve the problem. What other libraries do I need ? I’m trying to make this work on ubuntu 12.04 (32bit). it is incredible , I saw your code for gsm.i and so on… also your channelizer (pfb) are great. i search 2 years ago for this problem. best regard bro i am so exciting. can you help me with my question ?If this script will work with old USRP i.e. USRP1 or it will work on N210 only? Probably the script will not work directly with USRP1 due to some differences (e.g. clock value). It needs to be modified for USRP1. I applied patches to Airprobe and compiled without any problem. first of all, after running the mentioned bash command, why my USRP N210 device does not transfer data into localhost? in fact, I can not receive any GSMTAP packets on localhost by wireshark and I don’t know where is the source of this issue. I test your procedure but i face with some problem. –then we patched your job and then keeo old version of airprobe. but in channel 1 I can not extract 0B information (it extract so bad) , I use old version of airprobe with same file ( out_1.cf) and now all information extract very well. in extracting 0B and 2S channel information, so later after finding the key in 2S and 4T channel configuration, your output are not shown. but old version of gsm-receiver dispaly all of them exactly. please help me in finding solution. what you did seem correct. The old airprobe should work similar with the patched airprobe for 0B channel. You could try to debug to see what is the problem. can this PROG decode EFR and AMR voice? would you release a USRP1 patch ? thankyou. Hi Dear Admin and thanks for reply. I debug some. 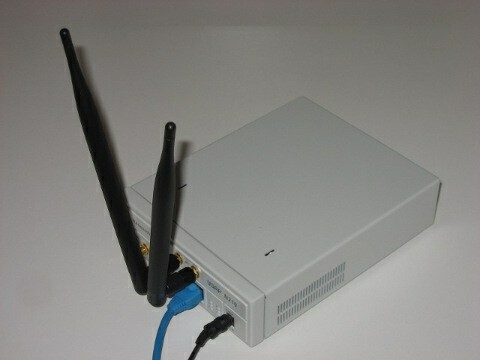 your idea for using multiple source and one gsm_receiver_cf was interesting. in returning “cai” for input_items[cai] also change input_items to desire source path. and then as result in some part of running MAI=0 then code selet ARFCN=1 and use input_item after that when MAI calculate as 2, select ARFCN=26 and use input_item. but i think we have serious problem and it is when we put key, program run from first of cfile (not after “Assignment command”) also before cipher start and change channel, so it cannot follow hop correctly. Am I right? how can i mark cfile to follow hop right after “Assignment Commmand” ? Sorry I make big mistake. I think when we using frame number, program never calculate wrong MAI. But by now i can not extract voice . Is there any plan to set up a fork repos on github or anywhere with all the patch apply, this could attract more people interested in this field. Really would like to dig in it, plan to buy my n210 by the end of the month. Can you share cfile that you are using in your document. It will be very helpful, plaese. can u tell plz tell me that how you use uhd_rx_cfile to capture the gsm channel I am actually having problrm with the rate to set, or you have modified airprobe code to work with your capture file recorded with n210? any help regarding this problem will be appreciated? see the new comment in the last part of the post. There is a problem in gnuradio that can be fixed easily by commenting some code in pfb code. what version of gnuradio did you use? I have installed gnuradio 3.7 and I have trouble with compiling gsm-receiver. I added /usr/local/lib/pkgconfig and /usr/local/lib64/pkgconfig to the path but I still get the same warning. I think gnuradio-core has been replaced somehow from gnuradio 3.6 to 3.7. Does anyone of you have a solution?